Fitness. It’s always on my New Year’s resolution list each year, but the challenge now is how to make it exciting. I usually vow to run at least two 5k’s, and maybe this year push myself to run a 10k. Yet, it’s the still the same old thing- gym 3x a week and run on the off days. I thought about joining a yoga studio or a specialized group fitness class to mix-up my workouts. With so many boutique fitness studios in the Triangle, I couldn’t decide on which studio to join and didn’t want to get stuck in a fitness rut again. Until, I heard about ClassPass, a monthly membership plan that lets you visit several boutique fitness studios in the Triangle. ClassPass has partnered with over 40 fitness studios in the Triangle area including Pure Barre, FlyWheel, studioVibe, Excel Body Fitness, and several local CrossFit boxes. With ClassPass, you can visit all the studios on their list up to 3 times each month. Memberships range from $79-99/month based on your city. 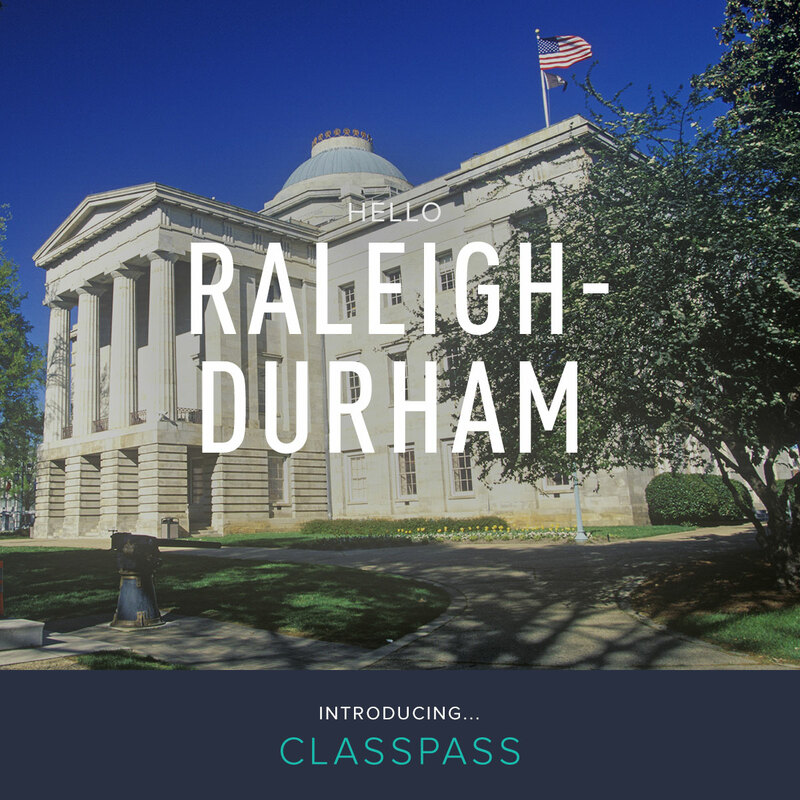 ClassPass is new to the Triangle, but you can find their program in Charlotte as well as other cities in the US. My favorite part of this program is how easy it is to sign-up for a class. You can effortlessly search for classes on their website based on the date, time, activity, neighborhood or studio. Several of the yoga studios offer Pilates and Barre. There are so many options to choose from, you’ll never get bored. I have teamed up with ClassPass and received a complimentary month of membership in exchange for promoting and sharing my experience with you (all opinions are my own). I checked out ClassPass, and found that it was a fun and easy way to check out local gyms and studios or just add a little something different to your workout mix. I enjoyed trying yoga and Pilates at StudioVibe in Cary. Interested in trying ClassPass for yourself? Visit ClassPass Membership, and get 2-weeks free! What kind of class would you take? This sounds like a really awesome deal! I wonder if this is available where I live…? They might. Just visit their website- classpass.com and you can search for their locations. This is a great deal! I’ll have to check to see if they are in my area. I’m really wanting to start Yoga classes but I have an odd schedule and can’t find a regular class that would work for me right now. Oh how I wish there was something near me like that…. 🙂 I used to work out all the time and now it is just carrying feed bags, lol. Jennifer, I was so excited when I learned they were coming to my area. I love trying new fitness studios. ClassPass is a very cool idea! I hope it comes to my town. I know, Joy. I was so excited when I heard it was coming to my area. Maybe you can request they come to your area. Thanks for commenting.